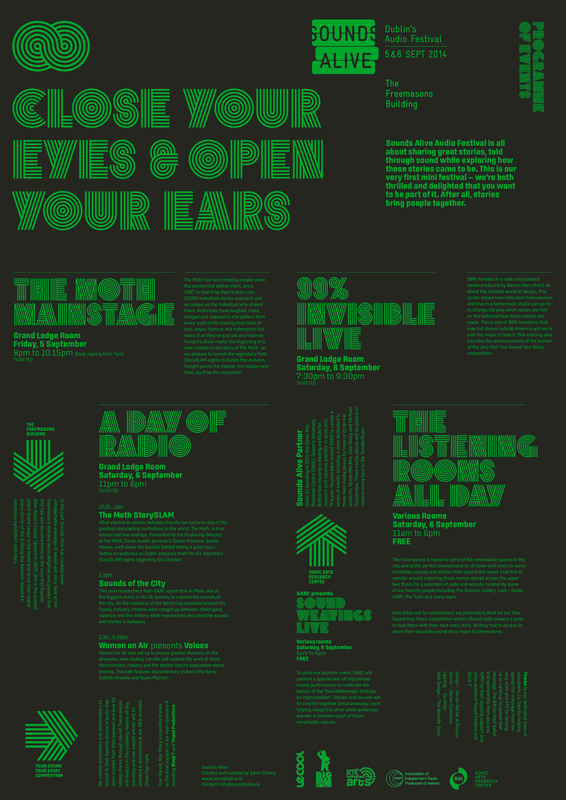 It was Julien Clancy's inspired idea to create an audio festival in Dublin and I designed both the identity and the inaugural event's poster for the event. I tried to echo the bright power light of the old valve radio in the colours – light leaking out into the dark to reflect the festival's mantra 'Close Your Eyes & Open Your Ears'. At the event we heard some amazing stories first-hand through The Moth, and then it was a dream to have Roman Mars give us a live performance of the 99% Invisible design-centred podcast.